Dell and HP are some of our favorite laptops to work on because of how easy the systems are to repair and their customer service is awesome! If you can get past the language barrier that is. Plus their support sites have just about every piece of information and software readily available for download. 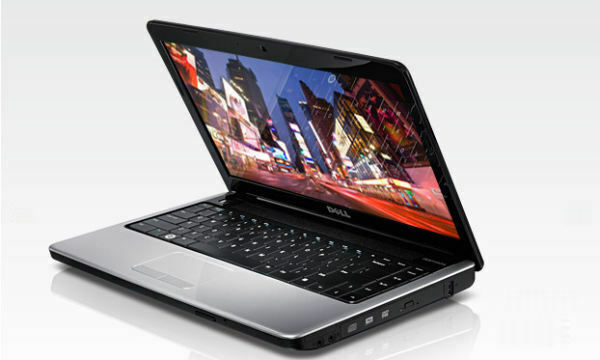 We worked on this Dell Inspiron 1440 which would not boot. Have you ever seen a computer boot up to a white blinking cursor? Nasty stuff right? No safe mode, no command prompt, no system restore, nothing. First thing we think about is the data sitting on the drive and whether or not it is recoverable. Fortunately, we were able to back up all of the data sitting on the drive. The backup took nearly 15 hours combined. The drive was near death and the read / write speeds were terrible. We were finally able to backup the clients movies, music, pictures, documents, and everything else important. We performed the backup by pulling out the Western Digital hard drive and plugging it into a USB to IDE / SATA adapter. This tool is so important and makes life much easier when trying to get at information sitting on a drive. Simply plug in the old hard drive to the device, plug the device into a known working computer and within seconds you will have full access to the drive and can copy the files. Once you have the files in a safe spot you can play around with the old drive all you want. Ideally, everyone should already have a backup of their data but they don’t. The problem we have seen recently with repairing newer laptops and desktops is the manufacturers not providing restorations discs for the computers. Manufacturers are putting the restoration software on secondary partitions on the drives which is fine until the drive completely fails; then what? Users rarely use the Restoration Disc creator software to burn the media onto disc before computers dies. If you are in need of restoration discs try calling your computer manufacturer to get a hold of them. In most cases the registered user can call up the manufacturer and demand they mail them a copy of the restoration discs free of charge. We called Dell and ask them to provide the discs but they needed us to provide the registered owners name, mailing address and phone number. This laptop has swapped hands a couple times but we were able to eventually track down all of the required information and one business day later we had the software in hand from Dell. We ran several hard drive diagnostic tools and were not able to save the drive itself. Fortunately, hard drives are reasonably priced and it’s always cheaper to buy a new drive than to have the old drive physically repaired. We replaced the dead drive with a brand new one, restored the operating system (Windows 7), and restored the previously backed up personal files. The laptop is now ready to be returned to the owner. We are sure they will be happy with the system; it is better than new now!